A PRESENT FROM THE BOYFRIEND | Nam Writes. This is a big deal. The Boyfriend does not take pictures. He hates pictures. Taking pictures, posing for pictures, looking at pictures, drawing pictures — he hates everything having to do with pictures. Seriously. 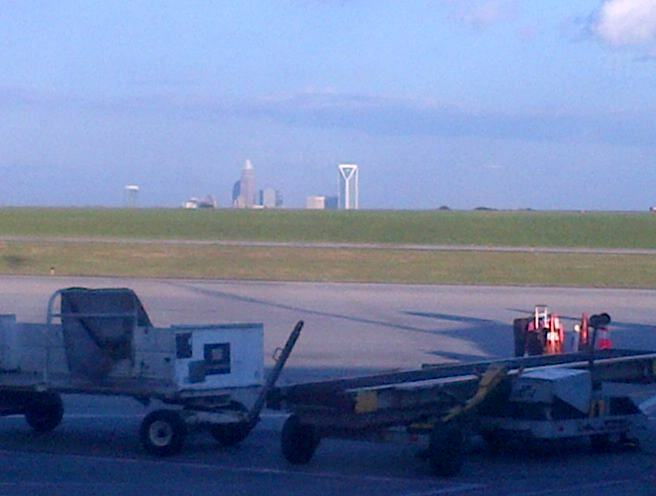 And still, he took this picture of Charlotte, NC during his layover there and sent it to me because he knew I’d like it. Okay, so he’s not exactly Ansel Adams, but it’s the thought that counts, right?